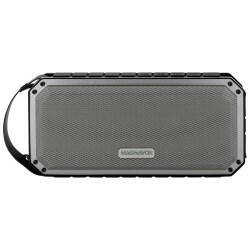 The Magnavox MMA3632 waterproof DSP 360 speaker keeps the party going come rain or shine. Experience a premium audio experience that is built for the great outdoors. 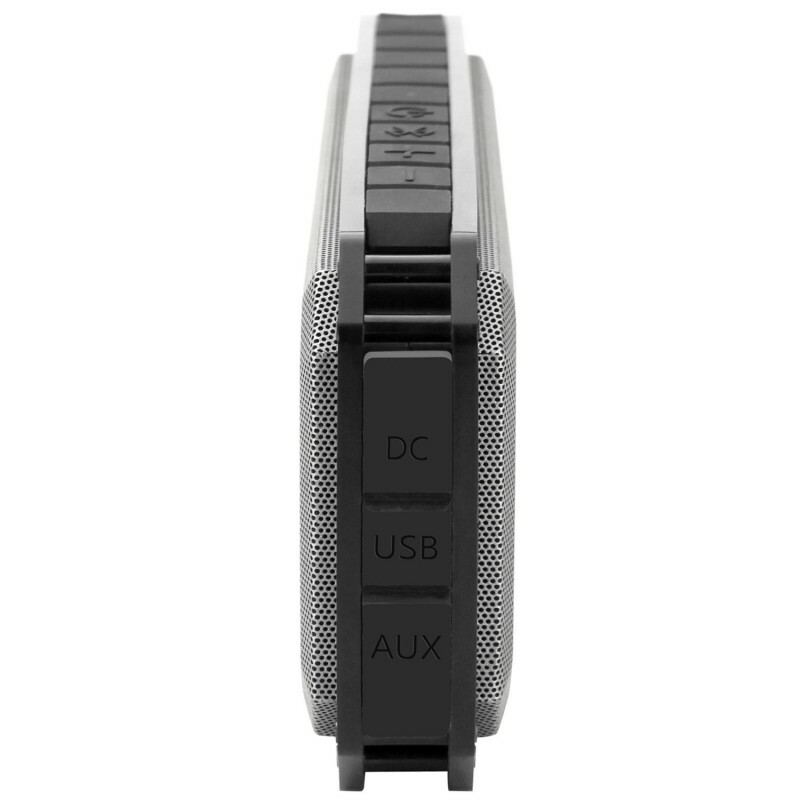 Connect to your smartphone, tablet or other audio device via Bluetooth or the Aux port to listen to your music, videos or games wherever you go! 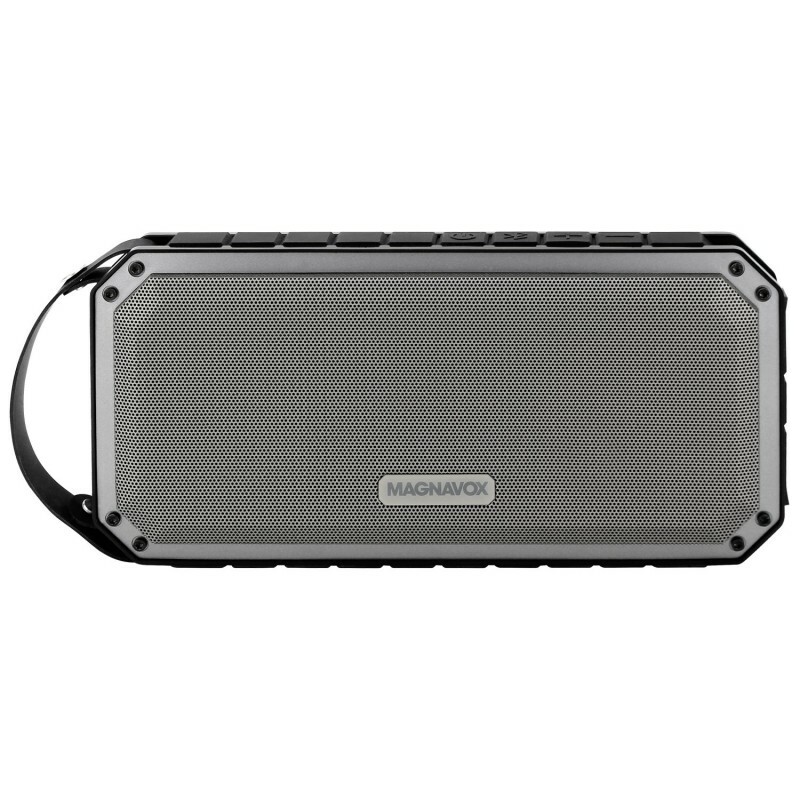 From the office to the beach, the Magnavox MMA3632 DSP 360 waterproof is a powerful, yet stylish, Bluetooth speaker that was made for the great outdoors. So, whether you are headed to a tailgate or entertaining around the house, the MMA3632 features Advanced DSP (Digital Signal Processing) technology for hi-fi sound reproduction while the 360 degree virtual surround sound effect pushes big sound that fills a room with ease. The integrated battery is powerful enough to charge smartphones and offers up to 15 hours of uninterrupted playtime. 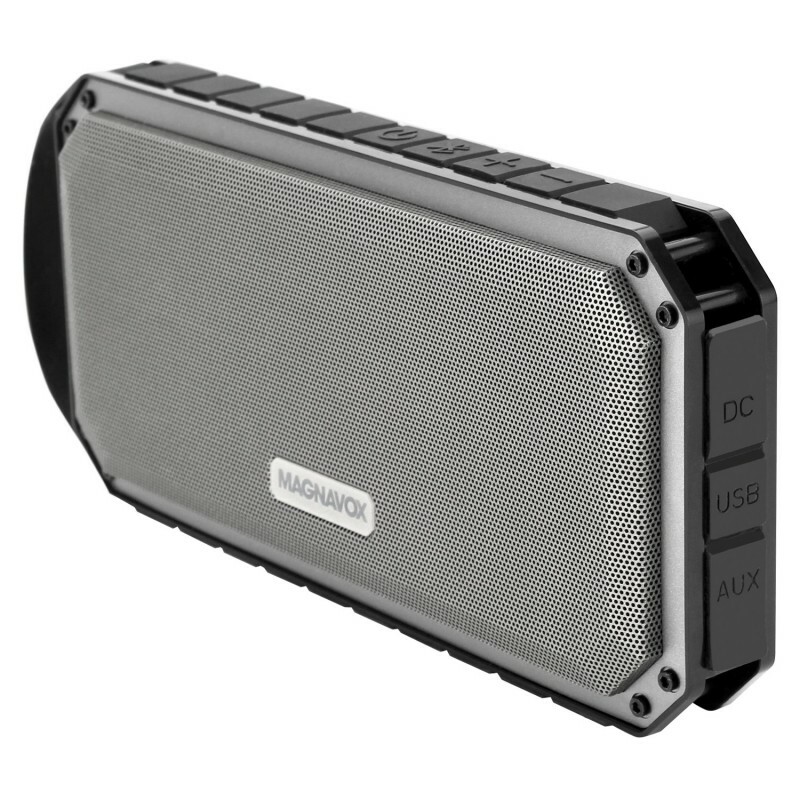 This Magnavox speaker can hold its own against water, dirt and dust, with an IP56 waterproof rating that keeps you the party going, rain or shine.